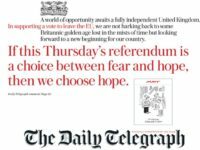 National newspaper front pages today swung behind the campaign to leave the EU after a brief break in Brexit vote front-page coverage following the killing of Labour MP Jo Cox on Thursday. Press Gazette’s Brexitometer tracker (above) adds up the total daily circulation of national newspapers with front page stories judged to favour either the Leave or Remain campaigns. 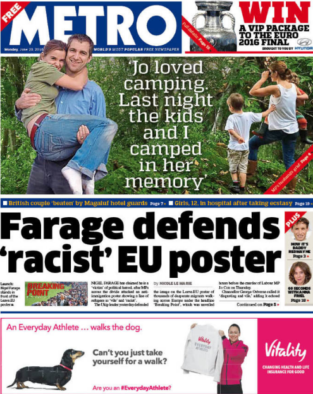 On Friday, 17 June, there was no coverage of Brexit on the UK national newspaper front pages as titles instead focused on reporting the Labour MP’s death. 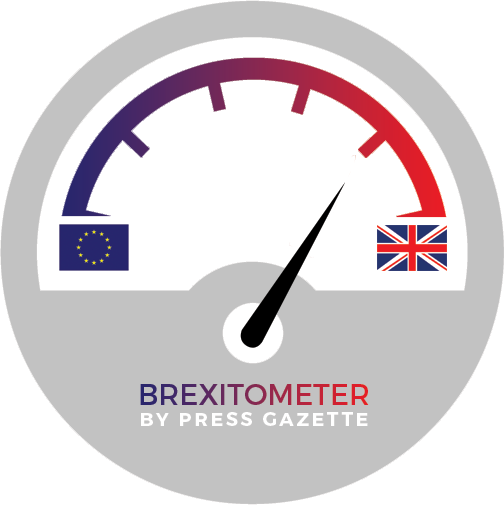 On Saturday, 18 June, there was minimal coverage with just The Times (pro Remain ) and the Daily Express (pro Brexit) putting the EU referendum on their front pages. But yesterday and today it was back to normal, with a strong pro-Brexit lead in terms of national newspaper front-page coverage. 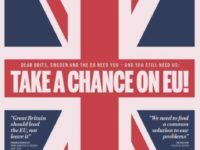 The Remain campaign was given a boost on Sunday, with the Mail on Sunday backing a vote to stay in the EU. But the title did not put the story on its front page. 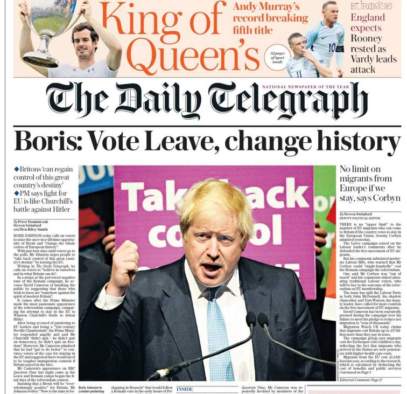 Today (Monday 20 June) the usual quartet of the Daily Telegraph, Daily Express, Sun and Daily Mail all had stories favouring Brexit on their front pages. This was balanced with pro-Remain stories in The Times and Metro. When today’s front-page coverage is weighted according to circulation, 54 per cent favoured Leave versus 25 per cent judged to favour Stay and 21 per cent neither. This gives us today’s Brexitometer score which shows national newspaper front-page coverage firmly in the Leave side of the dial. 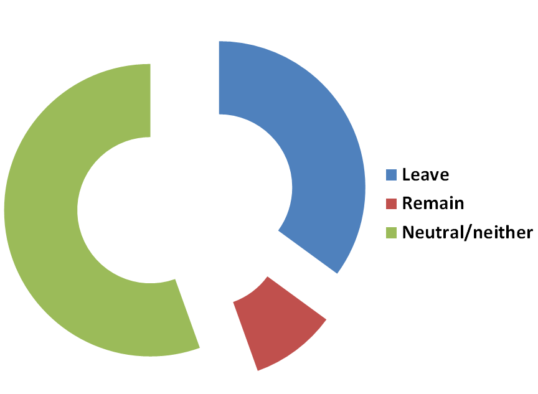 Overall, since 23 May some 35 per cent of national newspaper front-page stories have favoured Leave versus 9 per cent for Remain and 55 per cent neither (when values are weighted according to circulation). Press Gazette looked at the following newspaper titles (including sister Sunday titles where applicable): The Express, Mail, Telegraph, Sun, Times, Star, i, Guardian, Mirror, Metro and Evening Standard. The daily titles we looked at have an average total circulation (according to ABC) of just under 9m copies a day. Their total print readership is likely to be at least double that figure. The black screen issue occur when you update the windows 10 or any other operating system. Windows 10 is the less issue occurred operating but sometimes the problem is black screen then you need to follow the easy steps and remove the black screen problem from your system.